Create with Gwen: Easy Bow-Knot! I have a quick bow/knot tip for you today. Most of my customers are not a fan of tying bows. This trick makes it easier. Here is a card we did in Stamp Club of few months ago. I also made a few for Mother's Day. 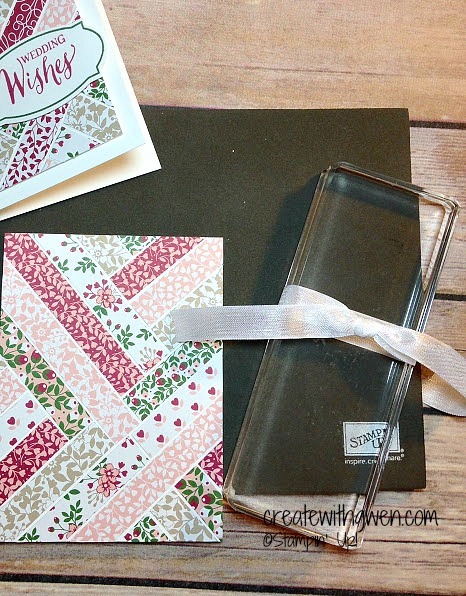 Since I still had a lot of the Love Blossoms DSP left and it retires in a few short days, I made a bunch of these "Herringbone" cards for different occasions and arranged them into gift sets. That sweet little ribbon knot is so easy to make. 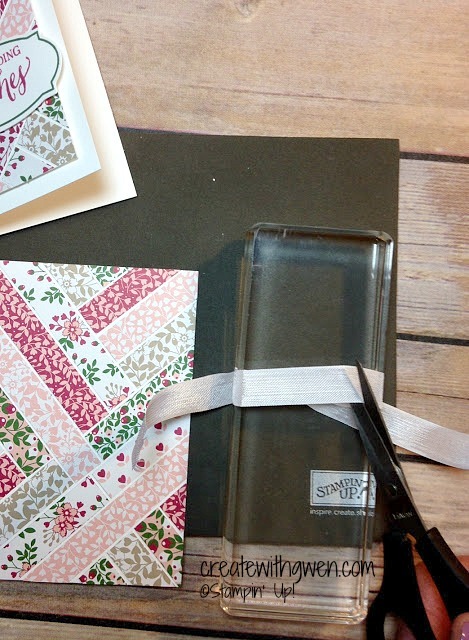 Cut a piece of seam binding or ribbon about 10" long, or double what the size of your card is and tie it around a clear block. I used Block H (4 7/16" x 1 5/8") to fit on the 5" x 3 3/4" panel of my card. I cut the back of the ribbon towards the right side. and adhere to the panel. And there you have it. Embellish as you wish! Easy Peasy. 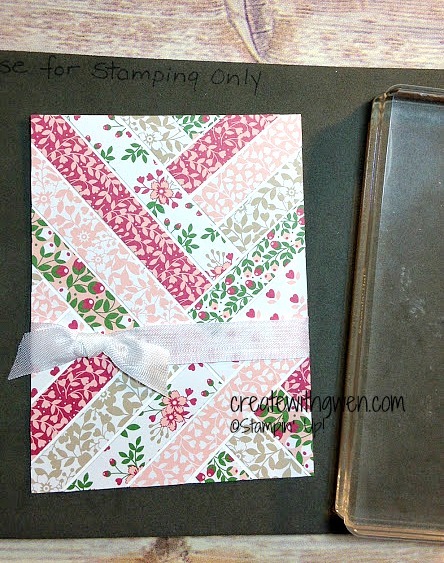 Want a Stampin' Up! 2016-2017 Annual Catalog. Placed an order with me in the past year, it's yours - free! New to me and do not have a relationship with another Stampin' Up! Demonstrator, it's $5 plus shipping. Each has a 10% off first order coupon! Contact me, and it's on the way to you! 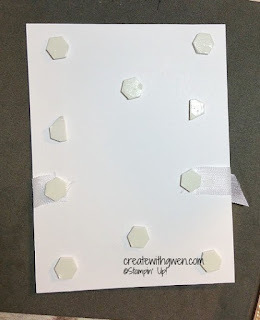 Code for May 2016 Stampin' Rewards is CUUKWNA4. Place an online order in my store using this code by May 31, 2016. One lucky stampin' friend will receive all the Stampin' Rewards accumulated! Please remember if your order is $150 don't use code, you will receive your own rewards!